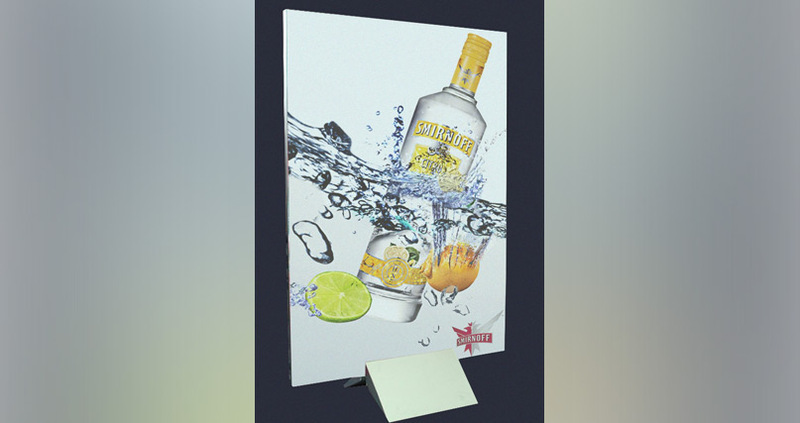 Unlike most display banners (where you are constrained by the size and shape of the display area), the Wing allows you to not only display different size graphics but also graphics that are profile cut to different shapes. 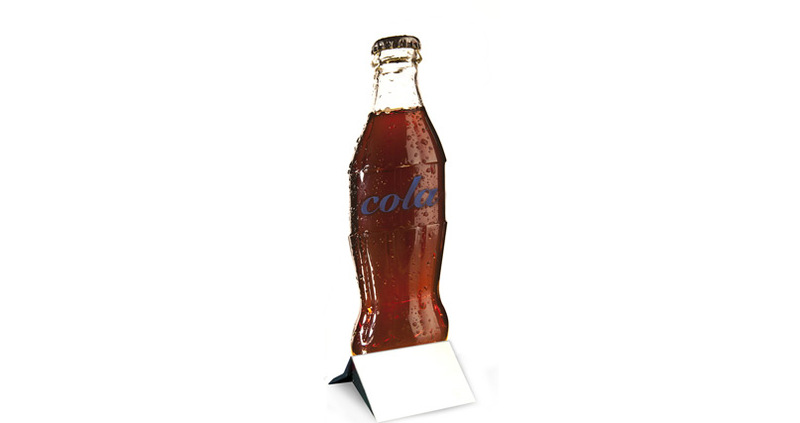 Imagine your branding in the shape of a bottle or even a person! 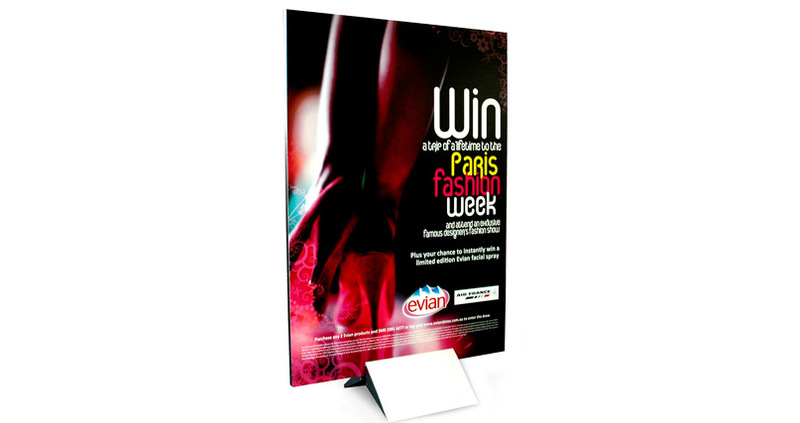 The base of this banner has a high quality brushed aluminium finish and is available in two sizes – the smallest weighs around 4kg and the largest weighs around 5kg. Our graphics are printed directly onto 20mm Artmount board and finished with black edging for a professional, photo quality finish. As the base sits in the centre of the graphic, multiple units can be tiled together to create a larger display with minimal gaps between the graphics. Is any profile cut really available? We are able to work with any artwork that has a vertical orientation. If you have questions about your desired profile cut, please give us a call. The Wing is available in both single- and double-sided configurations, ensuring that you’re able to display as much or as little of your brand as you like. The prices shown are for our standard sizes (width x height) – please call us for different sizes or shapes.